Chosen by Tyler, manager, & Clayton, floor staff! 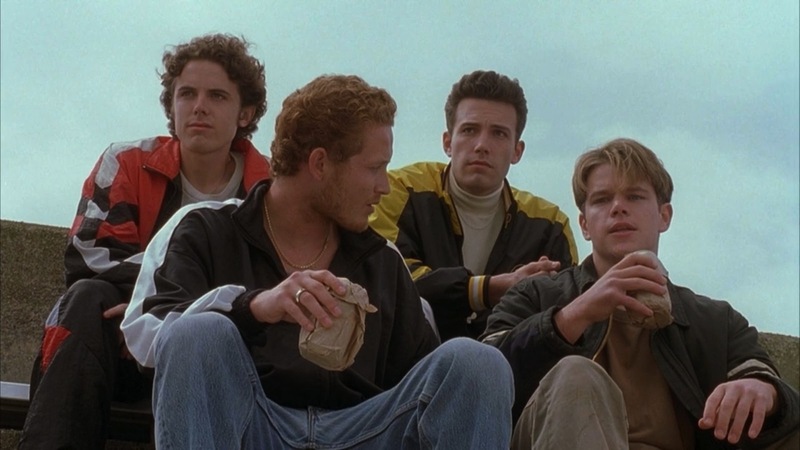 “GOOD WILL HUNTING may well be the Rocky story of the 90s. Two young (then unknown) actors – Matt Damon and Ben Affleck – wrote a script that dealt with the commercial double suicide that is mental health issues and genius mathematicians. Within months, their script had sold for a million dollars (plus change), the two actors were set to star, Gus Van Sant was on board to direct and Robin Williams was lending big name clout to the supporting roles. The result was a beautiful piece of filmmaking that found bothOscar glory and box office success. “A janitor at a technological institute, Will (Damon) is a 20-year-old caught between Boston’s working class environs and its elite academia. But unlike the friends he hangs with, he also has a photographic memory and an amazing ability to solve mathematical problems of the highest order. A professor (Skarsgard) tries to nurture his talent and tame his temper, enlisting the help of jaded shrink Robin Williams – the boy knows life in abstract, the man knows the pain of the real thing. Together they find an understanding and, in some small way, a path towards redemption. “The strength of GOOD WILL HUNTING lies in the amazing assurance of its script, and the backing both its cast and makers give it. Director Van Sant steers well clear of unnecessary sentiment, opting instead to find the emotional reality and harshness within the story. Damon is superb, his pal Affleck equally strong. But, in a movie that exudes quality, however, it is Robin Williams that provides both its heart and its highlight – the Oscar, in this case, was entirely deserved.